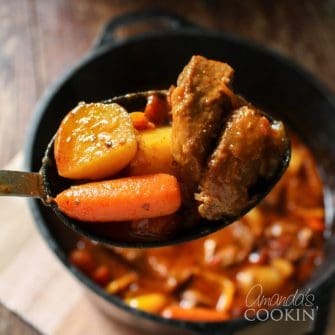 I really enjoyed making them though and they tasted great, so it would be a fun way to spend time with my daughter in the kitchen, or to impress guests. ;-) After all, how many people can say they’re eating hamburgers on homemade hamburger buns?? I found the original recipe on Taste of Home but changed it a little bit. I didn’t use the egg, I used SAF instant yeast because I like it and I’m impatient, and I brushed them with some melted butter. I actually made these quite a while ago, and you may have seen a few posts on Instagram about it too. First, proof yeast in warm water with the sugar. If it gets all bubbly like in a few minutes, you’re good to go. Add the oil , the salt and enough flour to form a soft dough. I used it all. I used my KitchenAid mixer to make this. You could certainly do it by hand too. 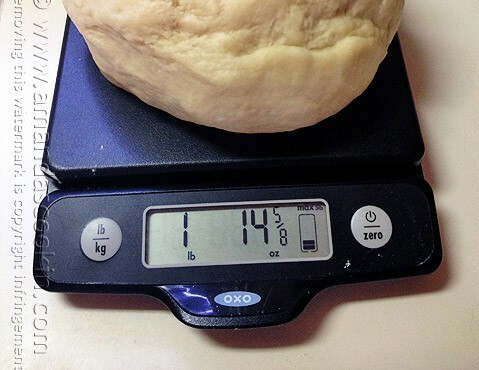 Turn onto a floured surface; knead until smooth and elastic, about 3-5 minutes by hand. Do not let rise. Divide into 8 pieces; shape each into a ball. I always weigh mine first if I have to divide it into equal pieces. I have this trusty OXO kitchen scale that I use ALL THE TIME. It’s my kitchen lifesaver. Place 3 inches apart on baking sheet. Cover and let rest for 30 minutes. The picture above shows the rise in ten minute increments. Brush tops with the melted butter. Pop those babies in the oven and bake at 425° for 8-12 minutes or until golden brown. Remove from pans to wire racks to cool. All that’s left to do is fill them with something juicy and chow down! 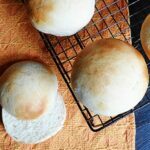 I have quite a few in my bread recipes category, but I’ve also hand picked some of my favorites just for you, see below! 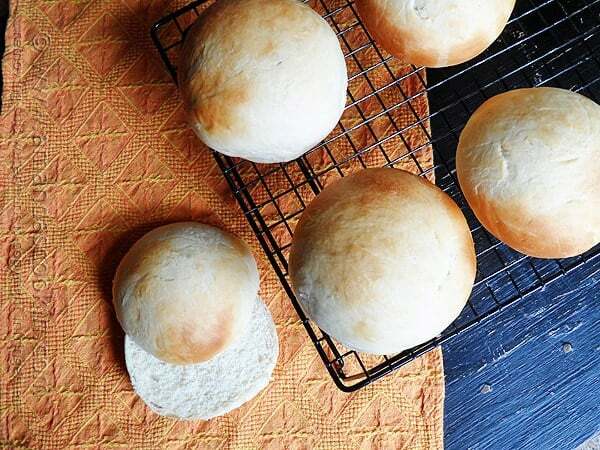 I enjoy making bread, so when I started seeing recipes around the Internet for homemade hamburger buns, I knew I wanted to try it. Preheat oven to 425 F. Line an insulated baking sheet with parchment paper. In a large bowl, proof the yeast in warm water with the sugar. 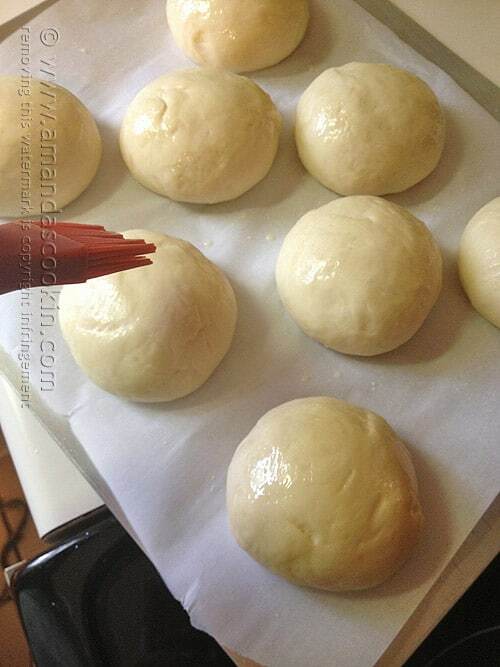 Add oil, salt and enough flour to form a soft dough. You may use all the flour, I did. 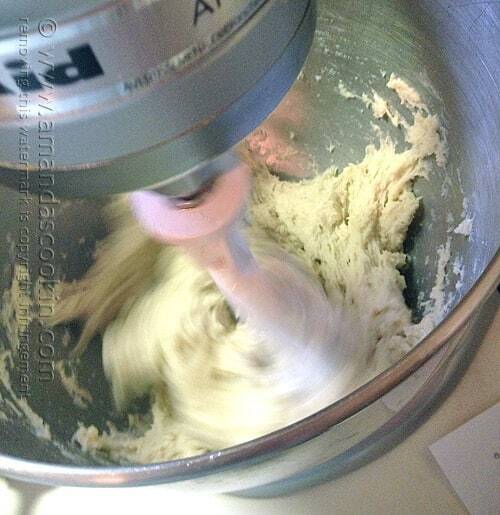 Turn onto a floured surface; knead until smooth and elastic, about 3-5 minutes by hand. Do not let rise. Divide into 8 pieces; shape each into a ball. Place 3 inches apart on baking sheet. Cover and let rest for 30 minutes. Brush tops with the melted butter. Bake at 425° for 8-12 minutes or until golden brown. Remove from pans to wire racks to cool. Disclaimer: There are Amazon affiliate links in this post. If you click through AND purchase something, I will earn a small commission. Amanda I made these buns and they were great. them a little flat. They were perfect. Not so thick and not so thin. and not have such a high dome to them. Awesome thanks Roy! I will definitely try that next time! 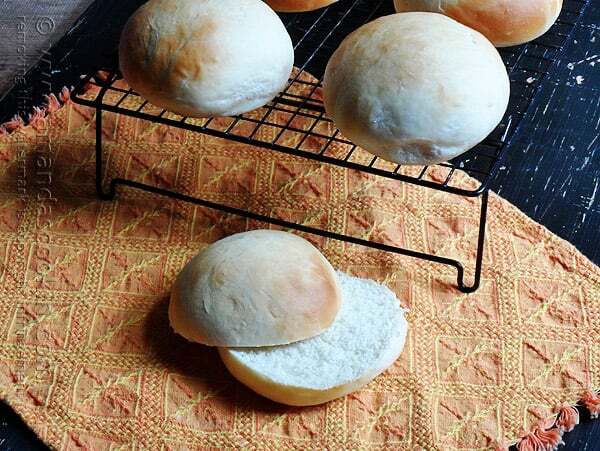 I put my buns in the proofer and let them rise but it takes more then an hour to rise them ..its frustrating why is this happening? Hi Taha. Without more detailed information, I’m afraid I can’t quite answer that question. A number of factors could be the cause. Your yeast may be expired, the water you used may have been too hot or too cold, the ingredients may not have been measured properly, the temperature of the room can make a difference, and so on. Did you proof your yeast first to make sure it was still active? These are a serious upgrade from the Wonder buns of my youth. I don’t even think I’d need the burger! 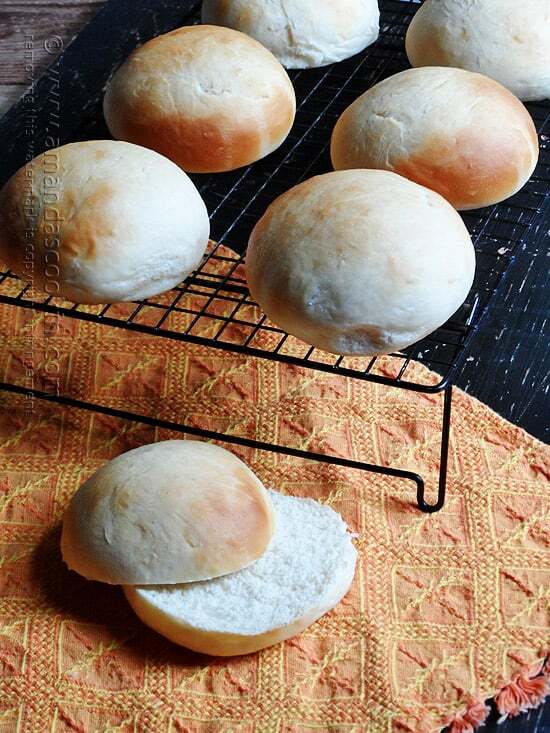 I’ve been looking for a good recipe for hamburger buns. Can’t wait to try these! Thanks Lana! I hope you enjoy them, they were great! 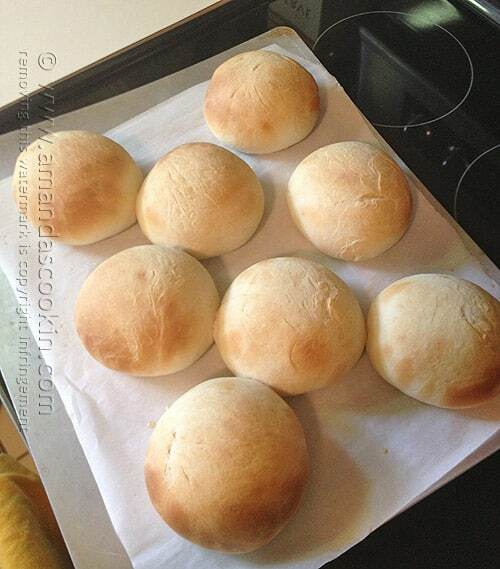 These look fantastic, Amanda! 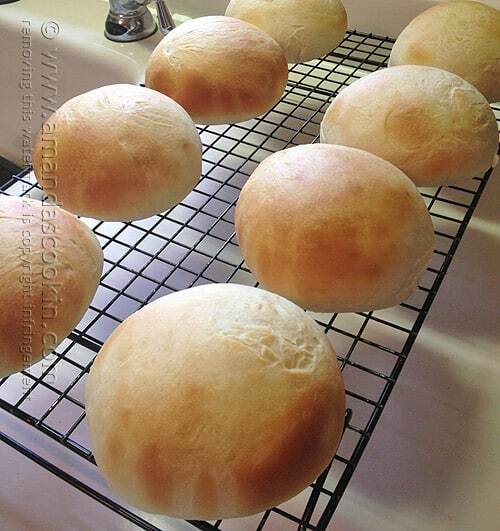 I’ve never made homemade hamburger buns. Pinning for use this summer. THANKS!! Do you think the mixing could be done in a bread machine. Than removed for the next step and baking? Hi Blanche. I really don’t see why not. Just a disclaimer here though, I have not tried this in the bread machine. Let me know how it goes!